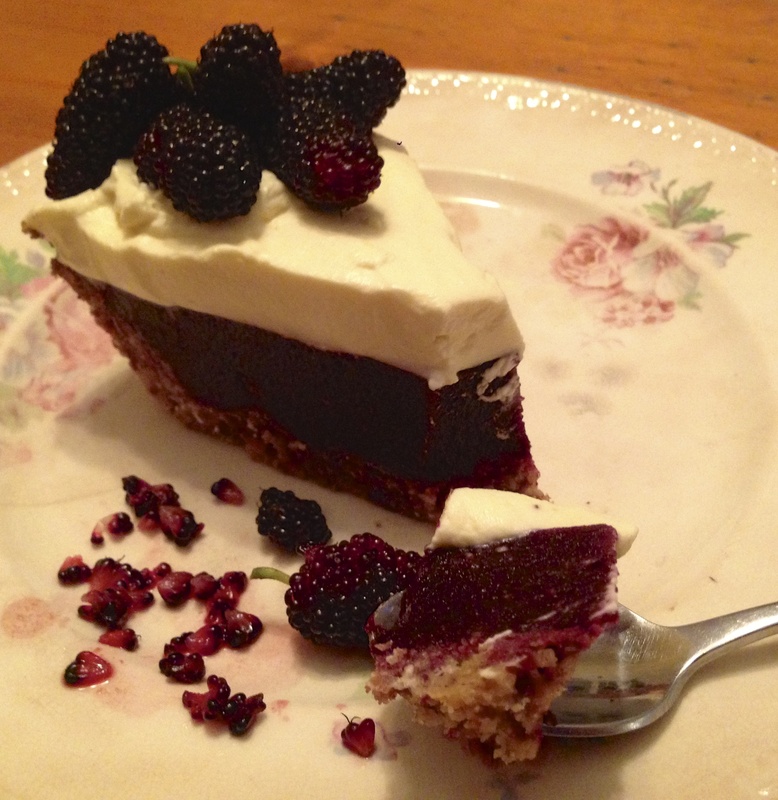 We have created this Paleo friendly grain free, gluten free, refined sugar, optional dairy free) free version of an old fashioned mulberry pie with the added goodness of gelatine. Grind nuts to a meal in Thermo-mix or food processor. Mix in sugar, salt and arrowroot. Add chopped butter and blend gently in processor or Thermo-mix until just combined. This will form a nice soft biscuit type dough. Grease a 20cm pie dish with butter. Press dough into pie dish covering bottom and sides. Bake in mod. Oven (180c) for about 20 to 30 mins, until golden. Allow to cool on bench and then place in freezer or fridge to chill right down. Place mulberries in saucepan with sugar, and water. 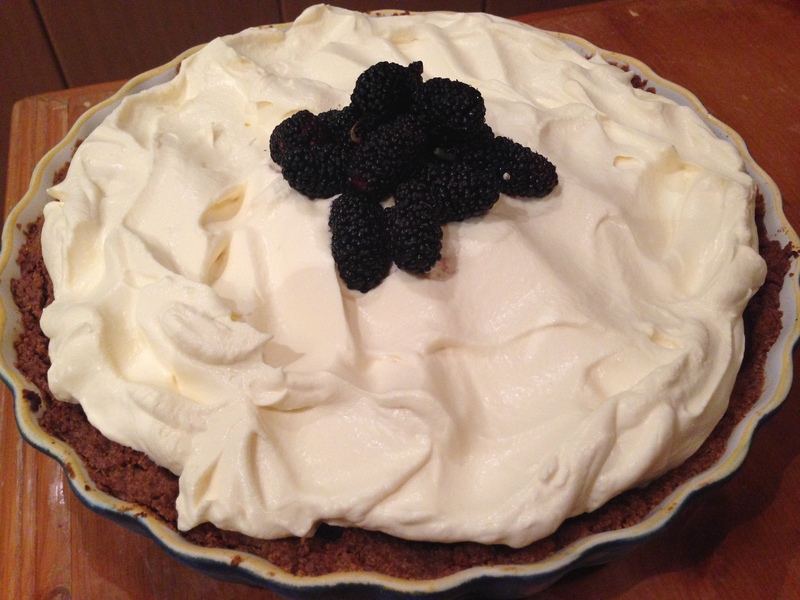 I don’t bother trimming stems for this pie as it blends up really well in thermo and you don’t even notice them in there. 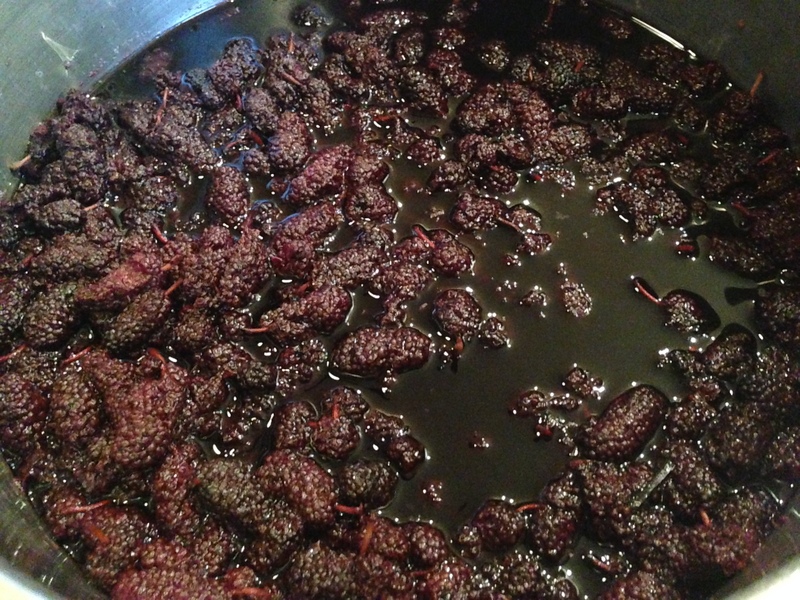 Bring to the boil and simmer for about 1 hour until mulberries soft. Blend well in thermo or food processor until really smooth. Add gelatine to half a cup of cold water and stir to a paste. Add 1 cup of hot water to gelatine and mix until smooth and gelatin dissolved. Stir dissolved gelatine into Mulberry puree. 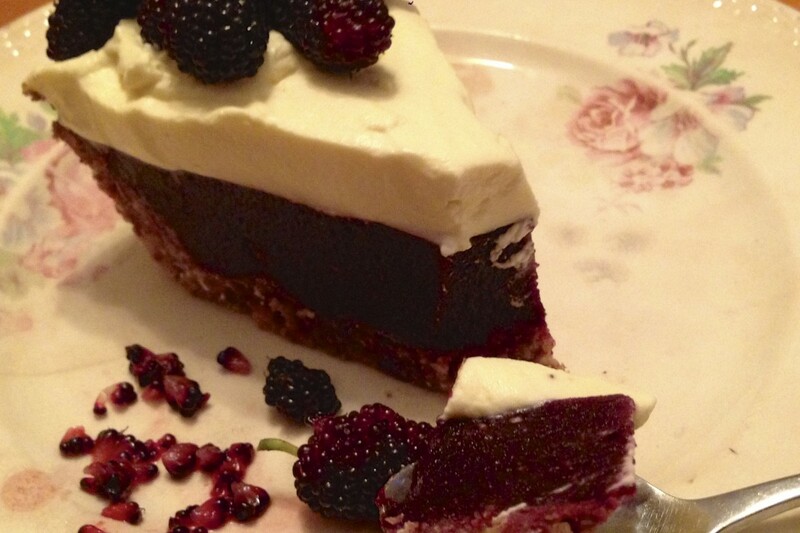 Pour Mulberry Jelly into cooled pie crust & place in fridge until set. May take a couple of hours.